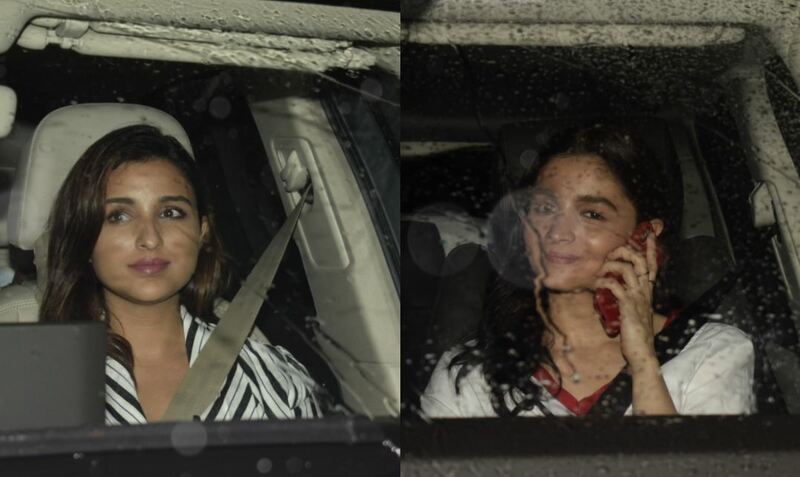 Alia Bhatt and Parineeti Chopra visit Priyanka Chopra and Nick Jonas! Home » मनोरंजन » Alia Bhatt and Parineeti Chopra visit Priyanka Chopra and Nick Jonas! B-Town actresses Alia Bhatt and Parineeti Chopra were snapped outside Priyanka Chopra’s residence in the city. The duo met the global icon and her singer-boyfriend Nick Jonas, who is currently in India. Priyanka Chopra headed back to the city a couple of days back with her beau Nick Jonas much to the excitement of the fans. at the airport as well as during a dinner outing on a Friday night. Now, PeeCee’s close friends from the industry are visiting her house to meet her and Nick. while making their way towards the global icon’s residence. 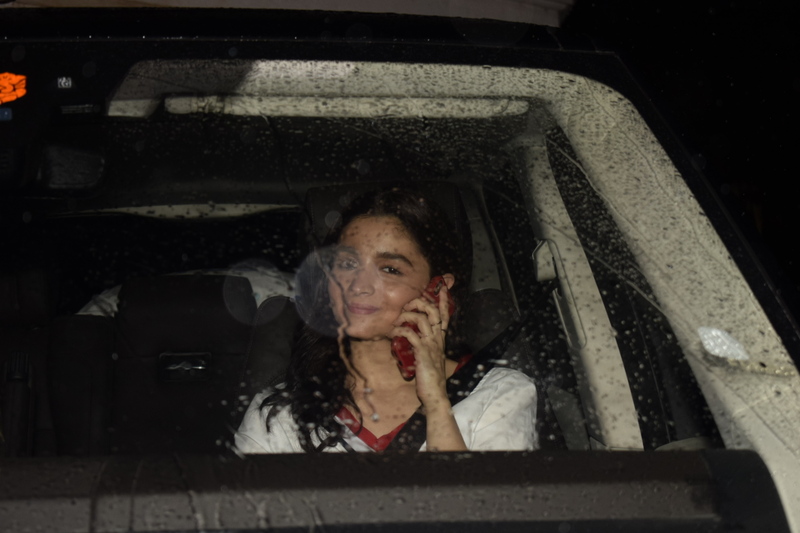 Alia wearing a zipper jacket as she was clicked in her car. Whereas Pari wore a monochrome blazer-style shirt. Both were all smiles for the shutterbugs. during the Met Gala but dismissed their relationship rumours when asked. together in Los Angeles and New York City in the United States of America. Now, they made their relationship Instagram official while being in Mumbai. the actors have been busy shooting for films as they have an interesting lineup. Alia’s next movie- Gully Boy opposite Ranveer Singh and Brahmastra with beau and actor Ranbir Kapoor. and Sandeep Aur Pinky Faraar. She has also started shooting for Akshay kumar’s Kesari. Sonam Kapoor Ahuja: My husband Anand Ahuja keeps Me grounded! रिलीज़ हुआ ‘राबता’ का टाइटल ट्रैक, सेक्सी अवतार में दिखी दीपिका!